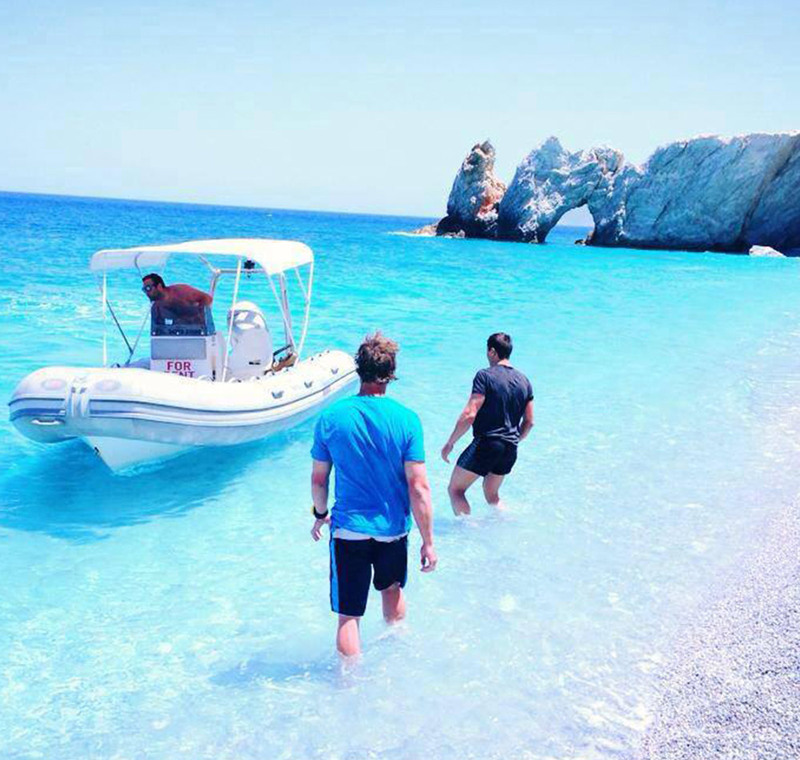 Hiring a self-driving boat is a fabulous way for everyone to experience the treasure of Skíathos island. 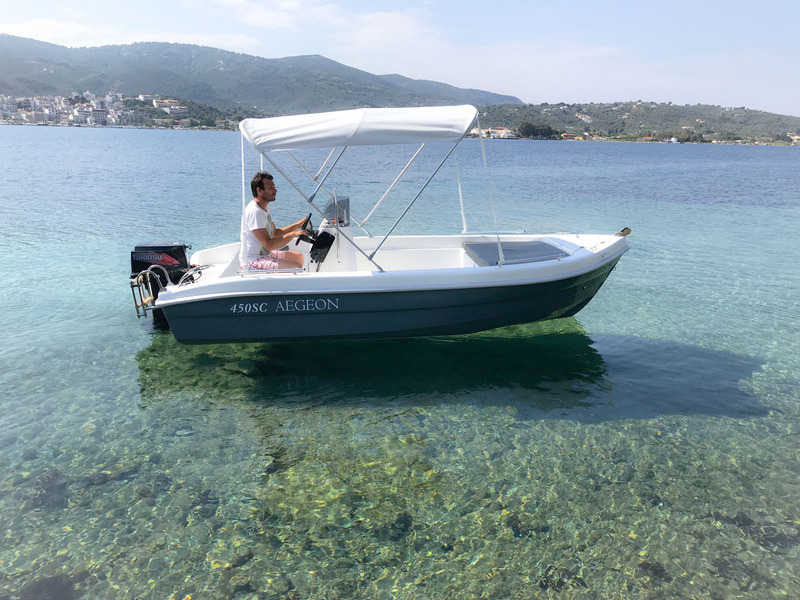 Our boats are easy to drive it and especially designed for families, couple and groups for snorkelling, fishing, swimming and sightseeing. There are 4.60 and 4.80 meters long with 30hp engines (2stroke-4stroke).You need a license to drive it and can take from 1 to 6 people. There are also ribs 5.30,6.00 and 7.00 meters long with 90hp and 150hp engines.You need a license to drive it and can take from 1 to 6 people, from 1 to 8 people and from 1 to 10 people. Your safety is very important for us and so all safety equipment is provided in the cost of your hire. Instructions on the safe use of the boat, maps and information about where to go, what to do are provided to all our future captains in order to be ready to cruise. A 15 minutes obligatory training is required and are ready to go and discover your own hidden secret beaches of Skíathos island.